We could not help but tell you about this wedding. 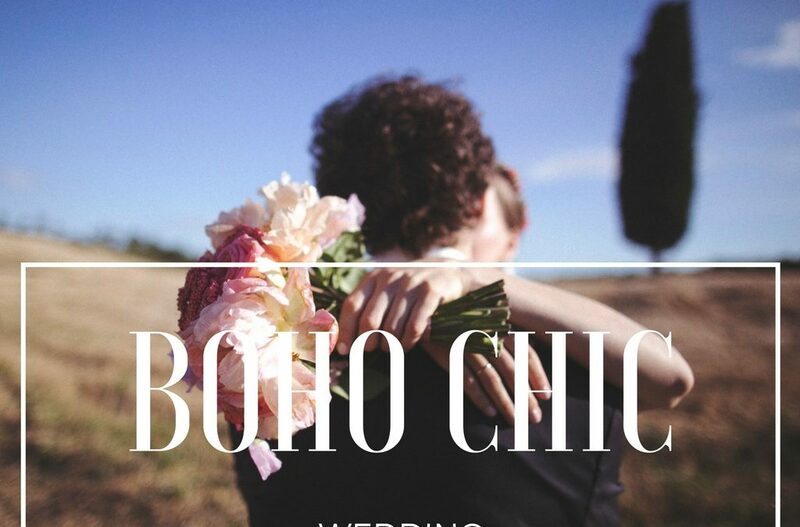 The bride and the groom have chosen our Historical House for their “Boho Chic” style wedding. The history, the architecture and the exterior of our location proved a perfect setting for a wedding day with a romantic and retro flavor. 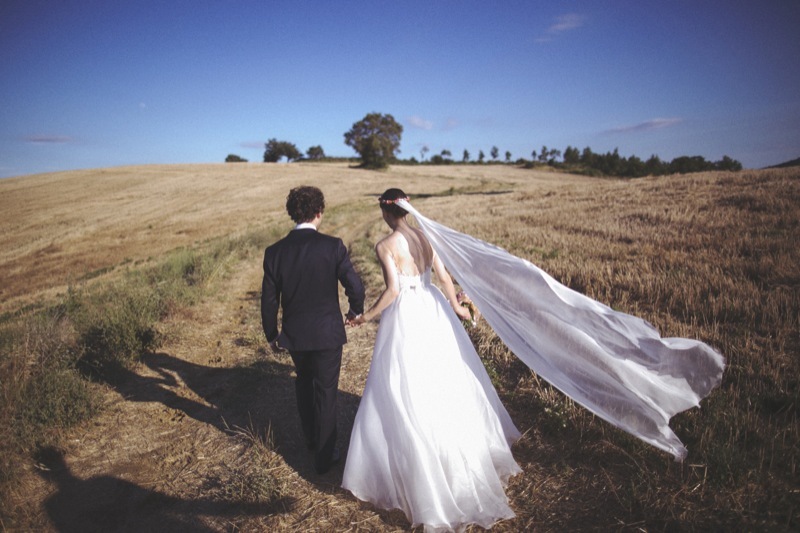 The hills and fields of our Farm have been the perfect background to this day, that we hope will remain in the memory of the spouses and their guests, immortalized and made eternal by Photographer Alessandro Mari. 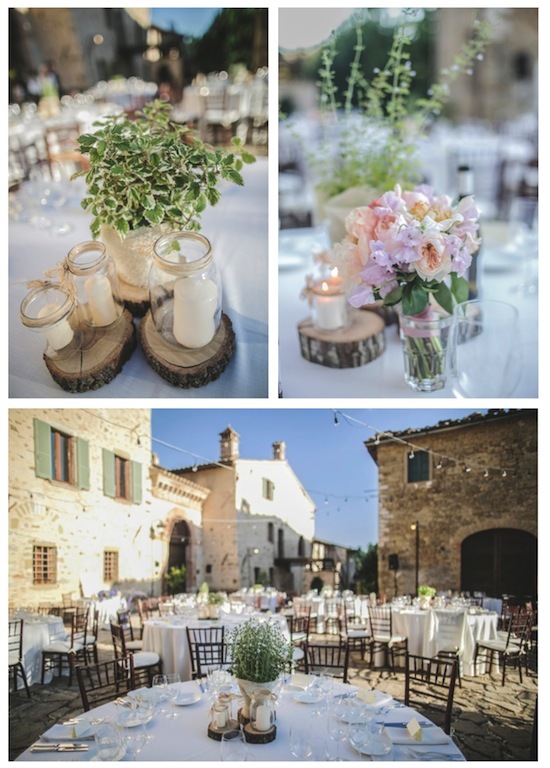 Stretches of sunflowers and wheat, with their pastel colors, have enriched the tones of the wedding day, giving naturalness and romanticism typical of Boho style. you don’t need artificial surroundings when nature and location offer such a nice landscape! The bride and the groom arrived in the afternoon on board a vintage convertible car. 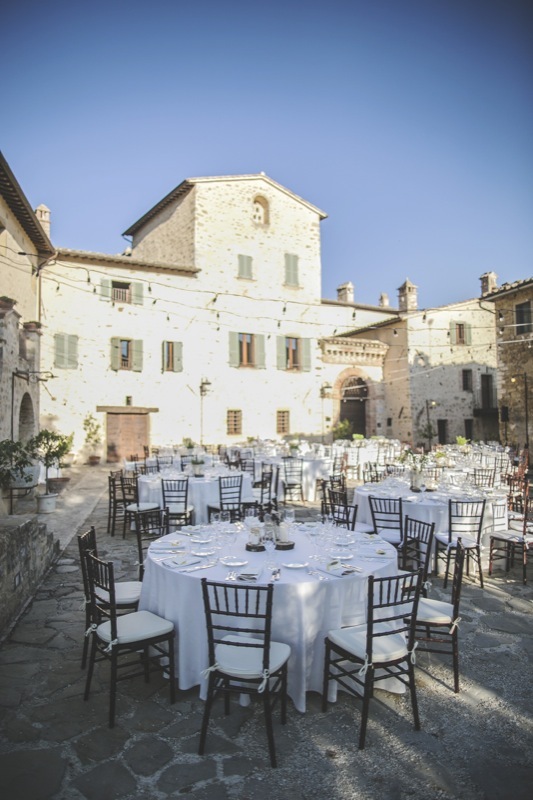 The reception was held in the ancient sandstone square, filled with round tables for the banquette, in total white-laid tablecloths and with a hint of hemp color in the decorations. A simple display of elegance and naturalness. The centerpieces and the floral decorations in full bohemian style were adding glamor details: logs, colorful herbs with inebriating perfume, jars with candles and flowers in pastel colors. Romance at a glance. They could have not pick a better time for the wedding dinner: the sunset. 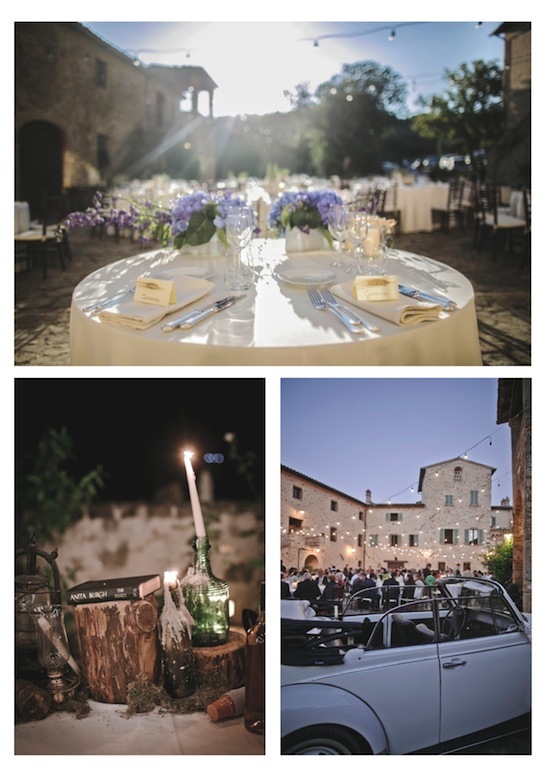 At sunset the lights and candles at the Borgo were turned on, adding up to the magic and retro flavor the evening. Also for the buffet we have created a scenography that would enhance the bohemian mood: old bottles, books, oil lamps, wood and musk, frames, old objects and porcelain. We have elaborated an original and crafted item: the angle bar made of planks and straw, with gipsy flavour. After dinner the evening was characterized by dancing, entertainment and a rich and colorful buffet of pastries and finger sweets. 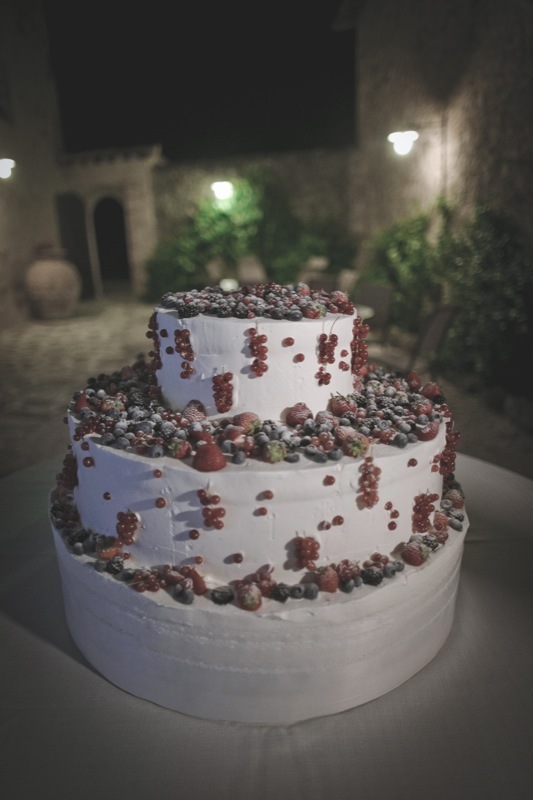 We could not fail to have a monumental wedding cake, but yet very simple. 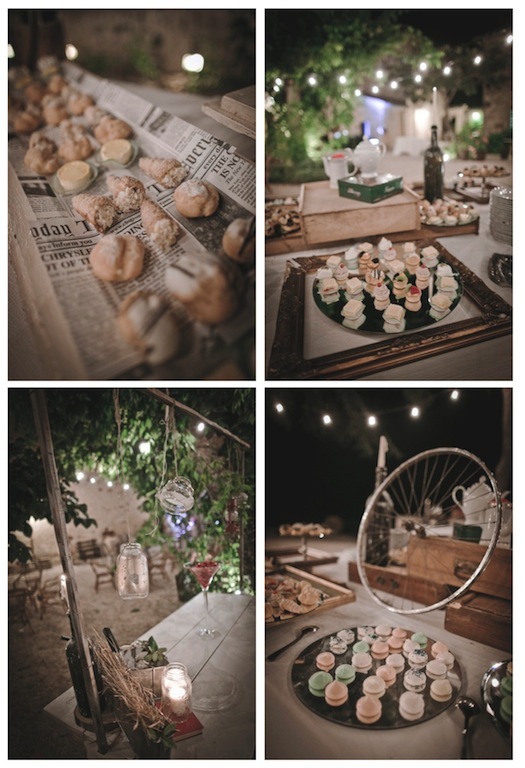 At Borgo Colognola we particularly love this time, expression and synthesis of the celebration.